They actually have some decent stuff this year. yes a few things look pretty good but not 100% sold yet. Pretty much is every year. They will be fighting over the PJ's and sheets at the local one near me, since they always do. There is really nothing jumping out on this one to me. The only thing that looks better than other ads is the $300 gc on the iPhone. Seeing the switch at normal retail on the front page kind of sets up for a disappointing ad. $1.60 bath towels that people will fight over. I might just be going at mass chaos time to get some small items.... because I know if i wait until later they will be gone. Hopefully I can get in and out in lightning speed! Anyone know if there is going to be free shipping with no minimum? Walmart will open at 6PM on Thanksgiving in-store, but you can shop all day online on Black Friday. For the first time in a long time we saw no mention of Walmart's infamous 1-Hour Guarantee. Of course, details on which items will be available online are scarce. Clear your cache and save your credit card information to try for a seamless checkout experience if you're braving the on-lines. The ad states that you can check back on November 14th for store maps, and we will be sure to update you as we find out more. blueredzone wrote: There is really nothing jumping out on this one to me. The only thing that looks better than other ads is the $300 gc on the iPhone. 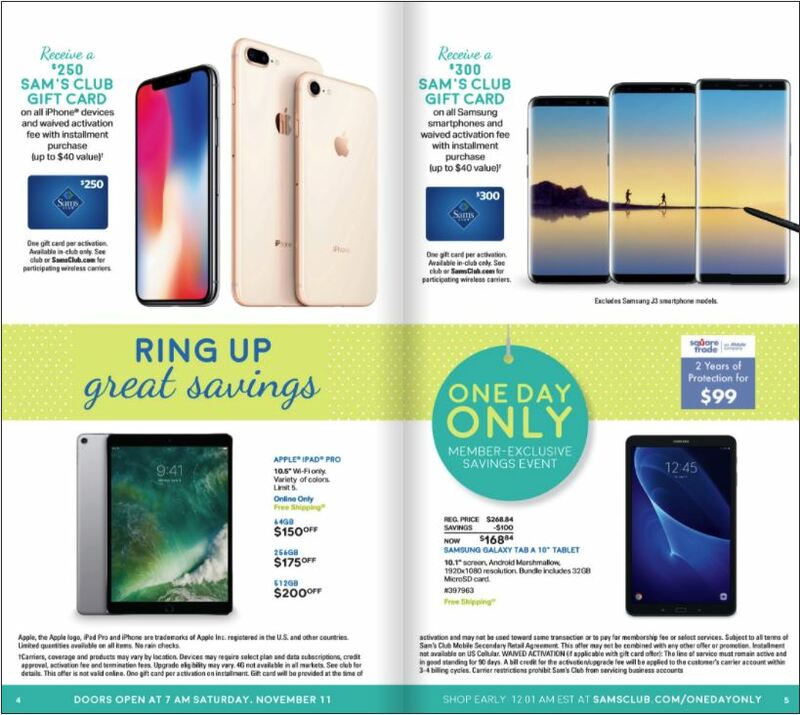 Sam's Club has a similar deal this Saturday. The Walmart ad looks particularly light this year. Does anyone know what the page count was for the last 2 years? raymacfla wrote: The Walmart ad looks particularly light this year. Does anyone know what the page count was for the last 2 years?